What All Terrain Tires Are Used For and How They Differ From Other Tires - Muscle Cars Zone! Do you want to learn more about all terrain tires? 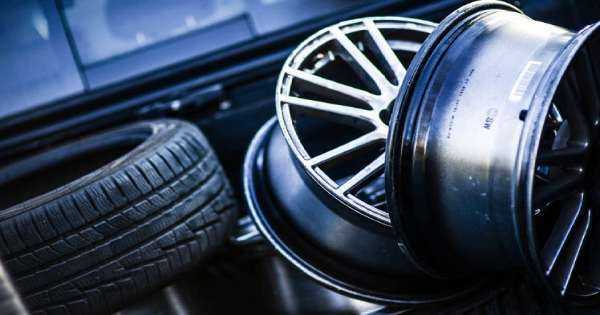 To help you out, we`ve taken enough time collecting valuable information on these tyres including their use, level of performance as well as handling plus how to differentiate them from other brands. “What are all terrain tires used for?” Here`s one of those questions which trouble many road users. They offer enough traction for all weather road vehicles. Such means that they are characteristics of street tires as well as the tread designs of the off-road tires. Below, we have put together their other additional uses plus we will also `dive` deeper and see what differentiates them from other brands. Take a look! Which Vehicles Require Aggressive All Terrain Tires? These vehicles use both the on-road and off-road brands. They carry heavy goods and hence, require these tires for improved performance. Unlike the lightweight trucks which only carry goods of 4000 pounds, pickup trucks or lorries transport goods of close to 6000 pounds. With the best all terrain tires, they are able to drive through rocky and even muddy roads with ease. These vehicles require aggressive all terrain tires for improved performance. They can carry the same amount of goods as that of pickup trucks giving you a rich variety of tires to choose from. These cars require tries of around 35-37 inches. They should also have aggressive treads and robust sidewalls. This helps them to move goods safely through rocks, snow, and harsh muddy environments. Here are other cars which greatly require the services of the best all terrain tires. When buying make sure that yours go hand-in-hand with the indexes of your load and the rate of speed according to the car`s manufacturing company. How Do All Terrain Tires Differ From The Winter And Seasonal Tires? Although these tyres offer enough suspension they are quite noisy as compared to the all season brands. Now, you may be wondering, `how long do all terrain tyres last?` Unlike the seasonal ones, they wear out quickly in bumpy terrains. All terrains offer amazing grip on icy surfaces but are pretty much disappointing when it comes to temperatures below 10 degrees Celsius. That`s why we recommend that you go for the winter tries simply because they have rubber compounds that can handle such adverse and cold weather conditions. However, once the temperatures begin to rise, these winter tires deteriorate in handling and performance. All terrain tires work best if you are driving on paved surfaces or on rough roads. Even so, it`s important for you to pick the right size when choosing such tyres, for example, you may want some 22 inch all terrain tyres to help you in transporting goods. There are various factors that you will need to consider as we`ve pointed out in this article. Make sure that you really think about the intended use of the tires and type of car you have; not forgetting the weather conditions and important of all budget! Now, with this information firmly at your disposal, which brands do you feel would suit your truck, camper or SUV? We appreciate getting comments from our readers, feel free to drop us one below.